I love to crochet. I am not a professional, but it is a hobby that I love. I have to always be creating something. If I am not making teas, herbal blends, or salt blends, then I am crocheting or beading. I am also a makeup enthusiast. I love to wear makeup, but I don't love the removing of it. I was using so many cotton pads, tissues, or what-have-you to remove my makeup - I felt there needed to be a more environmentally friendly way. 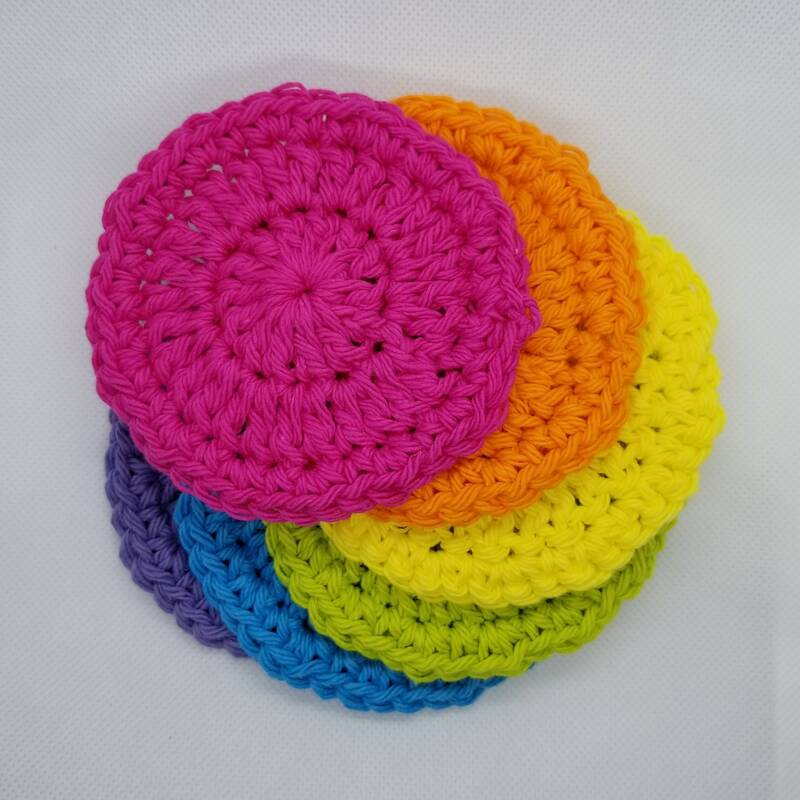 I found a sale on some cotton yarn and decided to create a few scrubbies for myself. 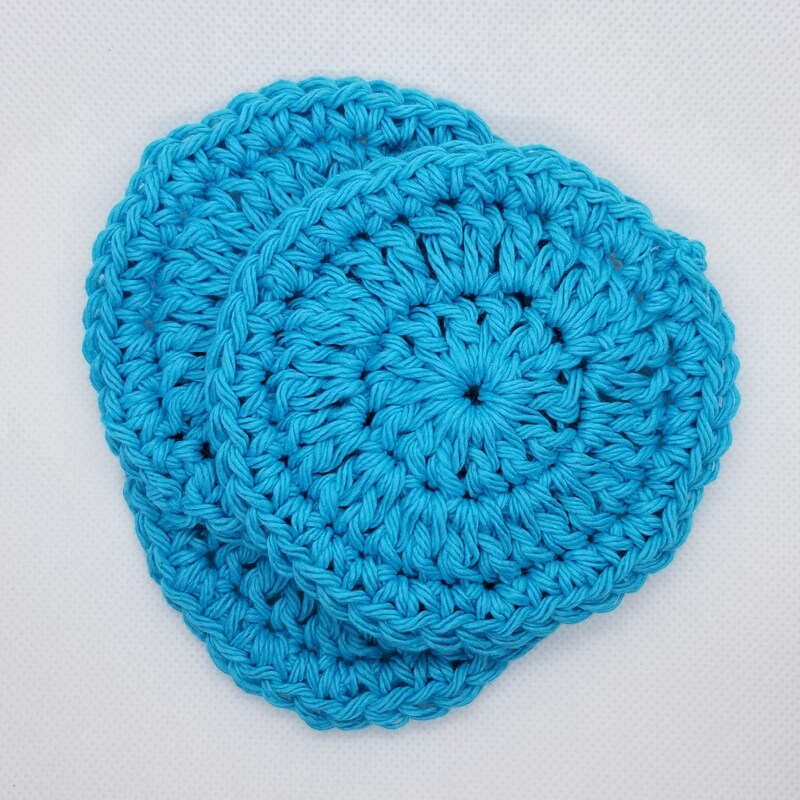 Cotton yarn is incredibly soft. Not only did these do a fantastic job of removing my makeup using my remover product, but they also worked to clean off my brushes! Score! (I hate washing my brushes). 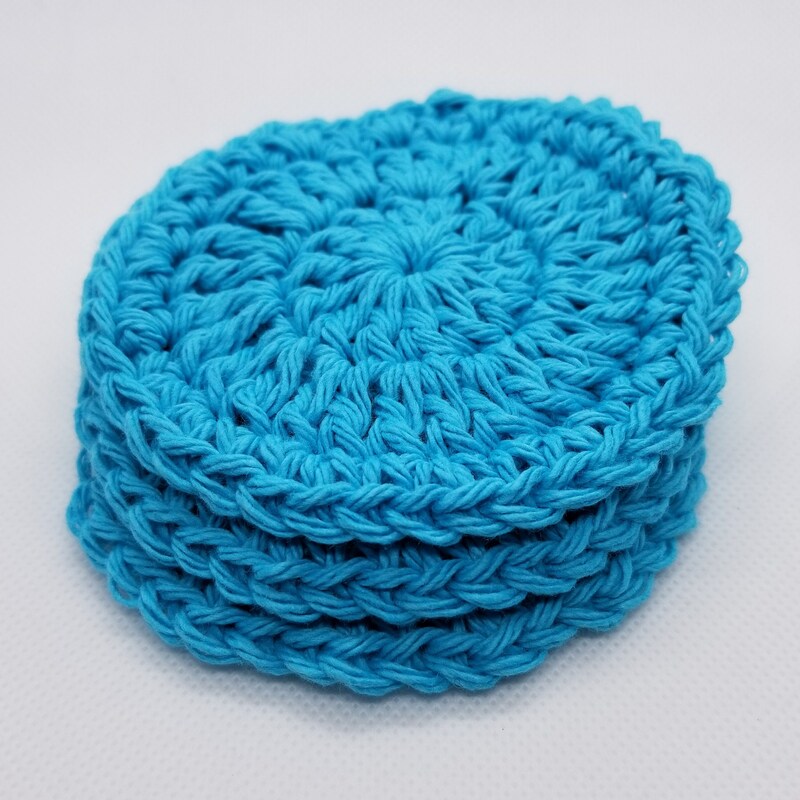 These scrubbies make it so easy - just add your favorite makeup remover product and then swirl your brush around until your brush comes clean. And when you are done - pop the scrubbies in the wash with the rest of your laundry. I do dry mine in the dryer, but you can line dry them as well. 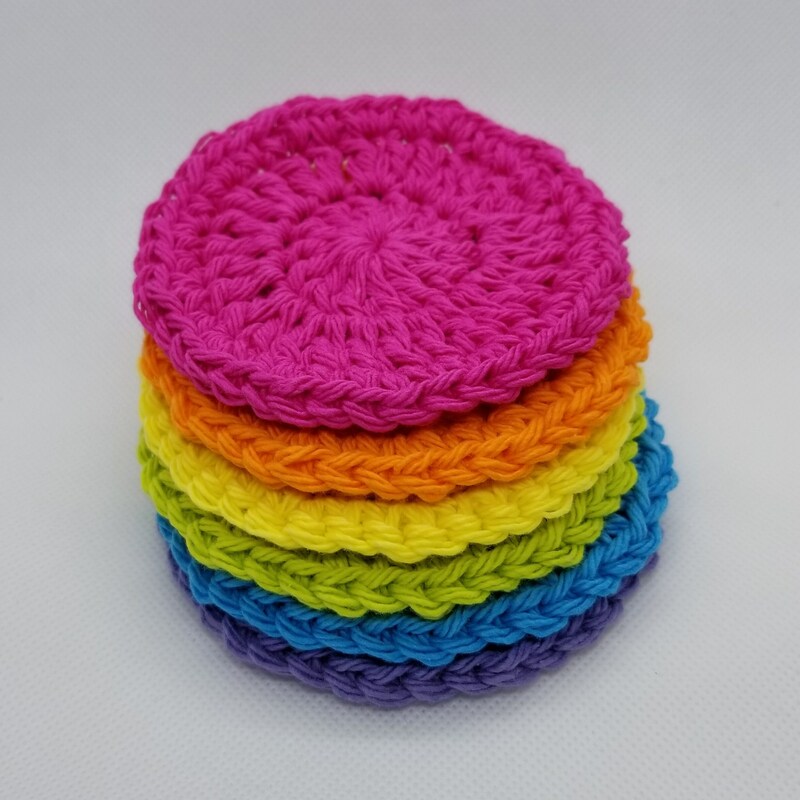 Photos 1 & 2: The Rainbow 6 set contains (6) scrubbies, one of each rainbow color - Fushia, Sherbet Orange, Yellow, Lime Green, Medium Blue, and Lavender. 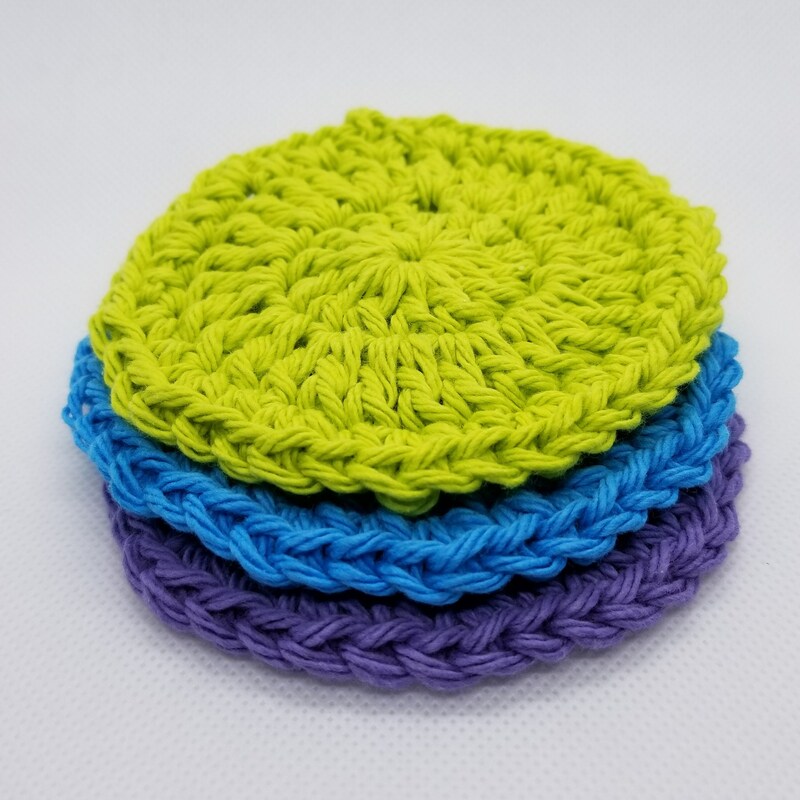 Photos 3 & 4: The Multi 3 contains one scrubbie each of Lime Green, Medium Blue and Lavender. I hope you like these as much as I do mine. 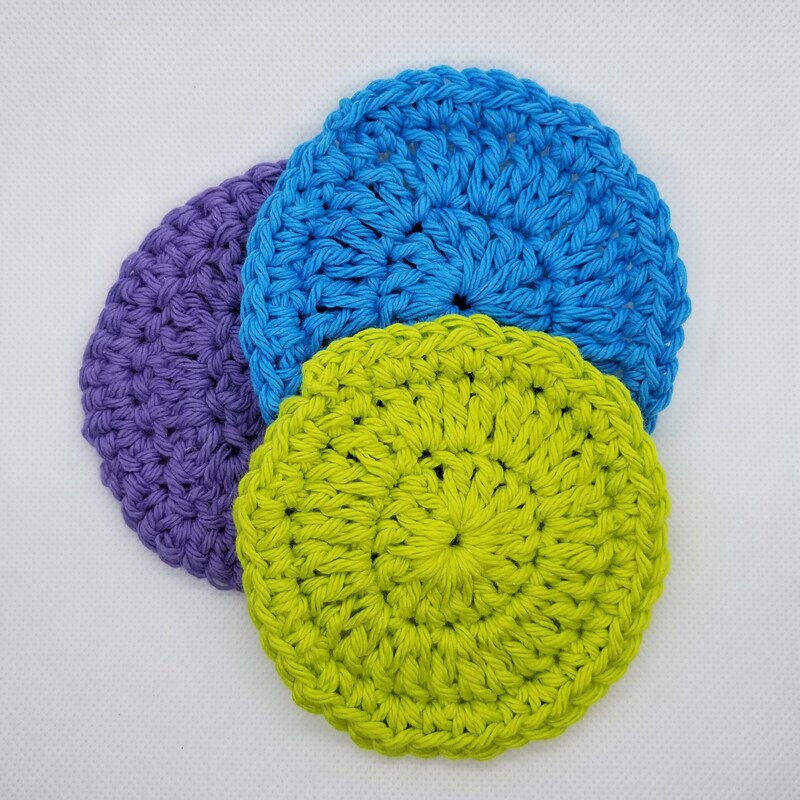 Please note, because these are made of 100% cotton yarn they will shrink a little. The colors will fade from the bright, vivid colors you see pictured. That happens with any bright colored yarn, but they are reusable, recyclable, and enviro-friendly. Thank you for stopping by and shopping with KipersLilTeaShop.